Kentucky was far-removed from such an encounter with God. Lawlessness ruled this frontier state, where a mere 5 percent of the population attended a church and bank robberies occurred daily. James McGready, a Scotch-Irish Presbyterian minister arrived in the southwest region of Logan County in 1798 to pastor three small churches filled with escaped murderers, highway robbers and counterfeiters. McGready’s vision for revival began from a place of prayer, and he rallied his church members to a day of prayer and fasting for revival on the first Monday of each month, as well as at sunset every Saturday evening and sunrise the next morning. By June 1800, hundreds joined McGready at Red River for a camp meeting that lasted several days, and by the end God moved so powerfully that “the floor was soon covered with the slain; their screams for mercy pierced the heavens.” The Cane Ridge Revival soon followed which not only transformed the state, but also birthed the entire modern missionary movement. • Pray for another great Awakening to sweep across our nation changing our families, our communities, our schools, our churches, and our government. • Pray for a clearer understanding of the days in which we are living, and for a greater anointing to live godly lives. • Pray for a spirit of prayer and intercession to come upon us individually, as a church, and as a nation. Seek the Lord while He may be found, call upon Him while He is near. What does the author mean by, “while He may be found”? Does this imply that there may be times when we will not be able to find Him? I, for one do not want to discover what this means the hard way. I want to take advantage of every opportunity that I have to seek out His presence in my life. Will there be a day when circumstances around me may prevent me from finding Him – circumstances like sin, deception, death, or even the end of the age? May I make the most of the opportunity I have been given on this very day to seek His presence. May I not follow the example of the 5 foolish virgins spoken of in Matthew 25, who ran out of oil for their lamps. Prayer: Thank you for your glorious presence Lord. I long to walk with You in the cool of the day as Adam did in close fellowship and love. Prepare me for the days ahead with the fullness of your presence. I long to abide in You. Please abide in me. May revival begin with me. Revive me this day, and may it spread to others as I share the oil that You have given to me. I love You, Lord! • Lord, make me a person of Your presence and power. • Let my family and friends “smell” the fragrance of Your holiness and grace in my life. We see God is clearly not calling us to use our own strength to fight the evil in the world but wholly rely on Him. As we take up the Sword of the Spirit in prayer and fasting, God will take down the strongholds of the enemy. Oswald Chambers said it well when he wrote, “Prayer does not fit us for the greater work; prayer is the greater work!” Let’s pull down some strongholds today in Jesus’ name, and seek Him fervently! 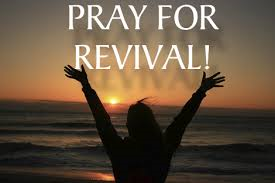 • Pray for a life-changing revival in our families and churches. • Lord, show me how to tear down any strongholds in my life. • Pray for a greater desire and anointing to pray. Reread Hosea 10:12 and observe the 5 keys to revival in this passage. 1. Revival centers in the Lord Jesus Himself. • Pray for our children to hunger and thirst for a deep encounter with the Lord Jesus. 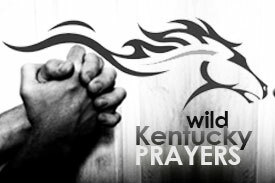 • Pray for His Spirit to be poured out upon our children and the youth of this nation, and especially in our churches. In the 1920’s Christian missionaries in North China were grieved over the spiritual condition of the churches. Members showed little or no spiritual sensitivity or concern. The missionaries began to wonder if many people had accepted Christianity mentally but had never been born again. In 1920, missionaries and Chinese leaders began to devote one day a month to pray for revival. In March, 1927, the southern revolutionary army burned Nanking, and all missionaries were ordered to Tsingtau and Chefoo for possible evacuation. Those evacuated to Chefoo began to study the Scriptures and ask the Lord why they had been removed from their work. God began to speak through His Word. A group of missionaries asked Marie Monsen, and evangelical Lutheran from Norway, to join their prayer meetings. God began to use her to challenge missionaries and others to get right with God. The missionaries spent days before the Lord. They confessed every known sin. They sought to be reconciled with one another. During a special prayer time God worked to heal the eyesight of Ola Culpepper. In the middle of their rejoicing, God convicted the missionaries that they were far more concerned about physical healing than they were about the salvation of the Chinese. They once again began to confess sins to the Lord. God was getting a people right with Himself. Marie was again used of the Lord as she asked the missionaries and others, three penetrating questions. 1. Have you been born of the Spirit? 2. What evidence do you have of the new birth? 3. Have you been filled with the Holy Spirit? The hunger for spiritual vitality caused people to do much soul-searching. 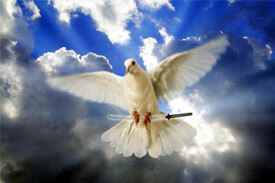 Christians and especially the leaders were revived and filled with the power of the Holy Spirit. Once Christians were revived, God had clean vessels through which to work. By 1932, revival was spreading. Many came to realize they were only “head” Christians, but they had never placed their trust in Christ. An evangelist for 25 years, Mr. Chow realized he was trusting in his good works and not in Christ for salvation. After he was saved, he refused to be paid for his preaching because he had preached for 25 years without the presence and power of the Lord. Lucy Wright, a missionary nurse for nine years, realized she had only joined the church. She trusted Christ for the first time. In 1932 masses of people were coming to Christ. In one school all 600 girls and 900 out of 1,000 boys trusted Christ during 10 days of meetings. Saved people went everywhere telling everyone what Jesus had done for them. Those who turned to Christ took down their “house gods” and burned them. the services. New songs were written and the Scripture was put to music. Bible schools and seminaries saw significantly increased enrollments. lasted two or three hours as people got right with God and prayed for the lost. 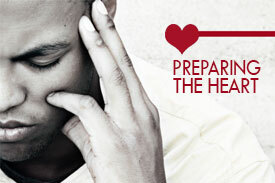 Broken families and relationships were healed. This account has been adapted from Go Home and Tell by Bertha Smith, Nashville: Broadman Press, 1965, pp 12-39, and The Shatung Revival by C.L. Culpepper, Atlanta, North American Mission Board, 1982. Wales is a principality of Great Britain west of London. The area has a wonderful history of revivals among God’s people. By the beginning of this century people had a longing for a fresh wind of God’s Spirit. The last great revival had taken place in 1859-60. Church membership had declined. People were indifferent to religious matters. The churches were formal. God’s people needed revival. 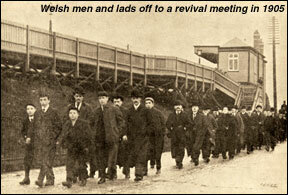 By 1904 God was at work in many places and in many people through Wales. The nation was like a tinder box God had prepared for the quick spread of revival fire. God chose to use a young man named Evan Roberts in a special way. Evan worked in the coal mines of Wales, but he had a great burden for revival. For 13 years he prayed for an outpouring of God’s Spirit. Prayer meetings with different groups of God’s people became a major emphasis in his life. Early in 1904, Evan accepted God’s call to preach, and he went to school to prepare. 1. You must put away any unconfessed sin. 2. You must put away any doubtful habit. 3. You must obey the Spirit promptly. 4. You must confess Christ publicly. That night, all seventeen responded to his appeal. Crowds increased nightly. The Spirit was poured out on the nation as God’s people returned to Him. Lost people were dramatically converted – 70,000 in two months, 85, 000 in five months, and over 100,000 in the six months following that October meeting. These commitments were life changing. Taverns closed due to the lack of business. The crime rate dropped radically leaving the police with little to do. People paid old debts and made restitution for thefts and wrongs committed. There was even a work slowdown in the coal mines as the mules had to learn the new language of the converted miners. News of the revival spread to other countries, and people were stirred to prayer. Soon God was at work in nations around the world bringing people to Himself. *Read the four points of Evan Roberts’ message and ask God now He wants you to respond to Him in any specific area of your life. • Pray for His Spirit to be poured out upon our children, and the youth of this nation. • Pray that the next generation will have a heart to seek and serve the Lord. • Pray that the children will be protected from the snares and devices of the enemy. • Pray for the mass media that many believers will invade this field and raise a standard of righteousness. O Blessed Holy Spirit, do again what you did in Washington, D.C. and in other cities in 1858! Set your people to praying as never before that we might see again the holy fire fall! In Jesus’ dear Name. Amen! 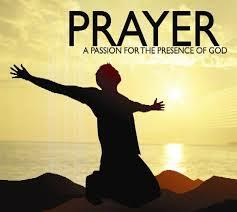 • Today in your own secret place of prayer as fasting, ask Him to lay His prayers and petitions upon your heart.